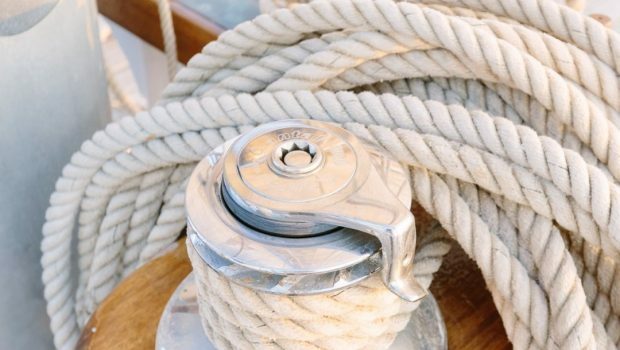 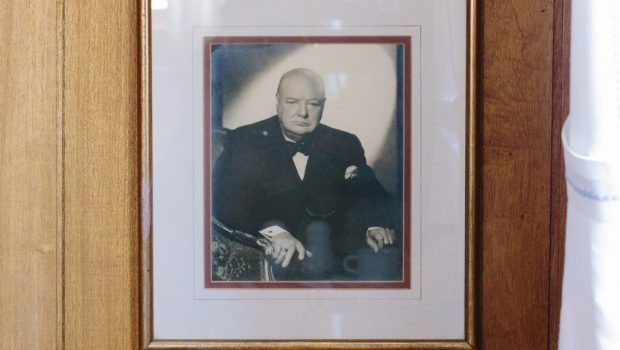 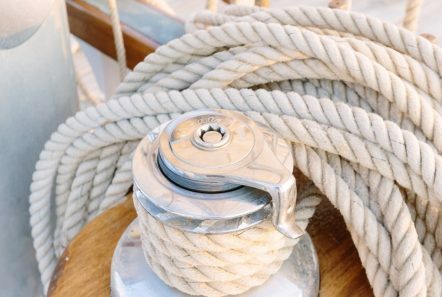 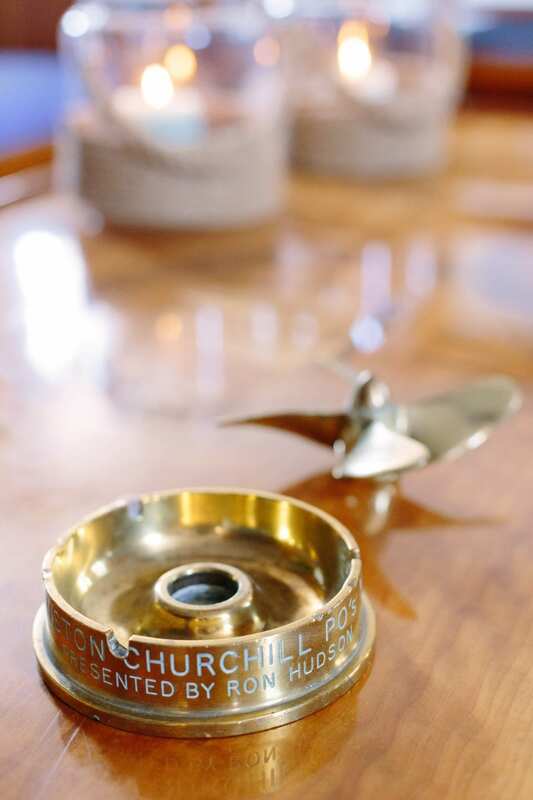 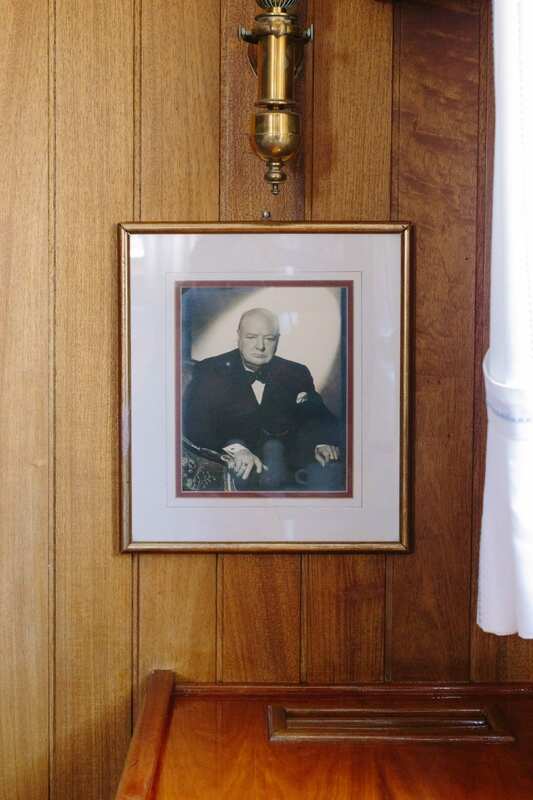 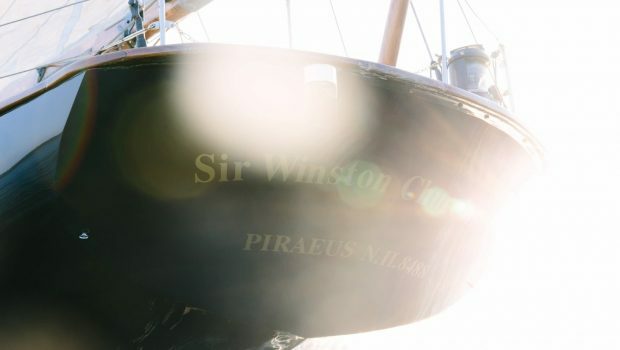 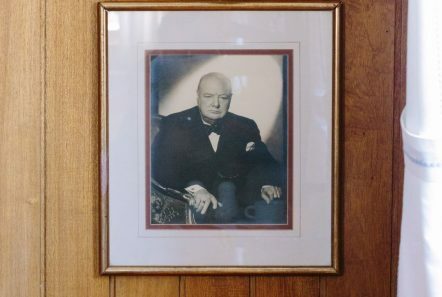 SIR WINSTON CHURCHILL is a fabulous ship in a class of its own with gracious timeless lines! 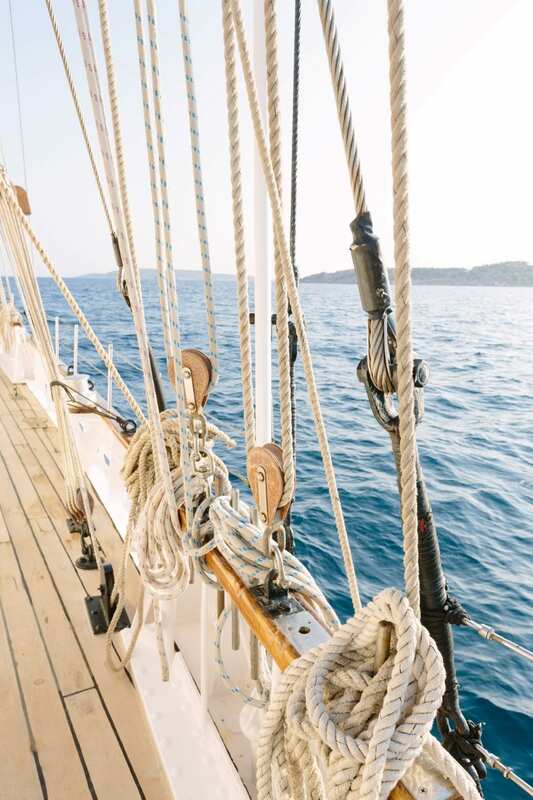 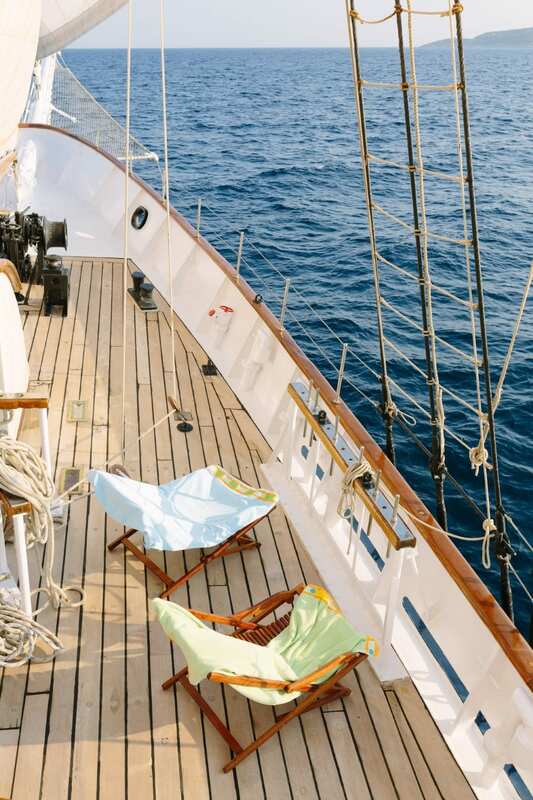 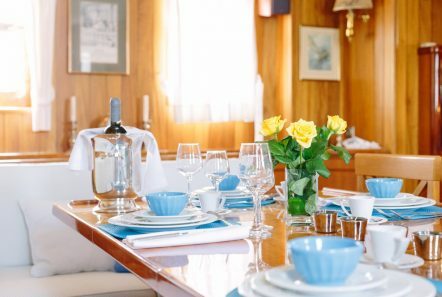 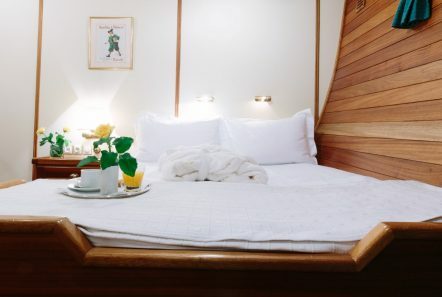 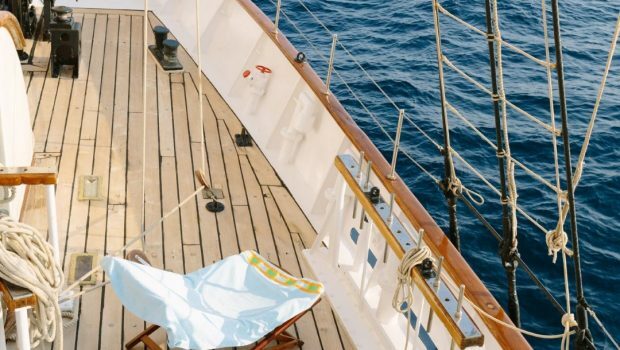 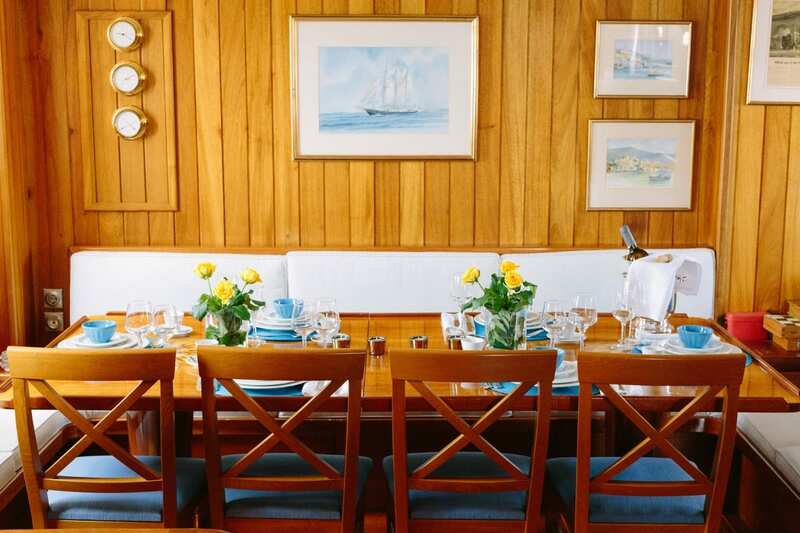 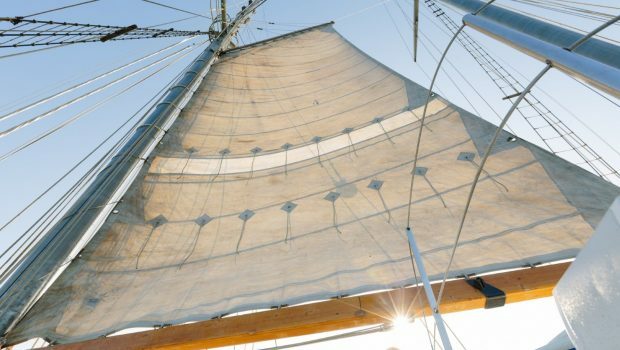 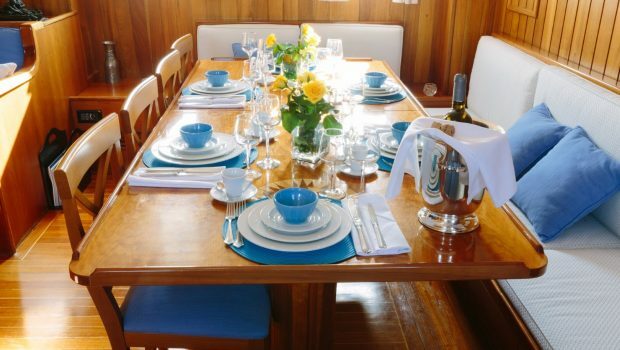 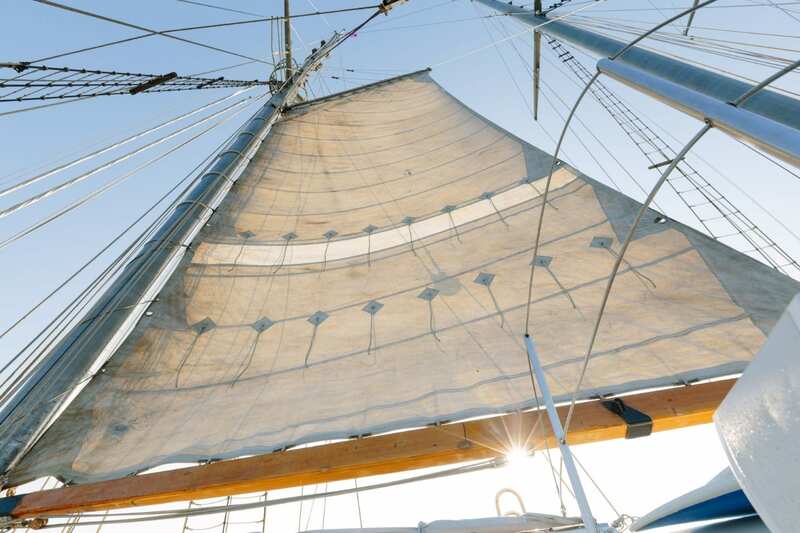 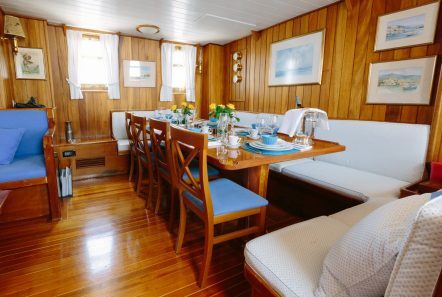 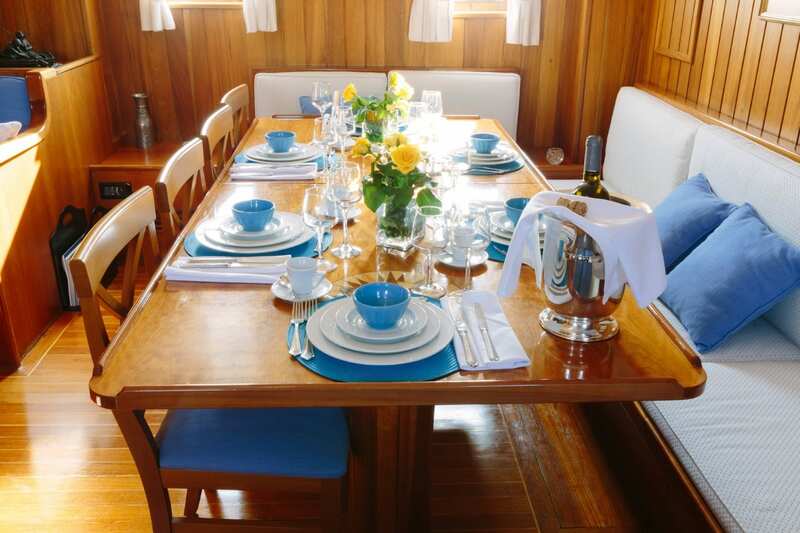 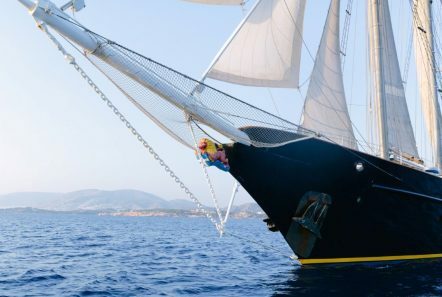 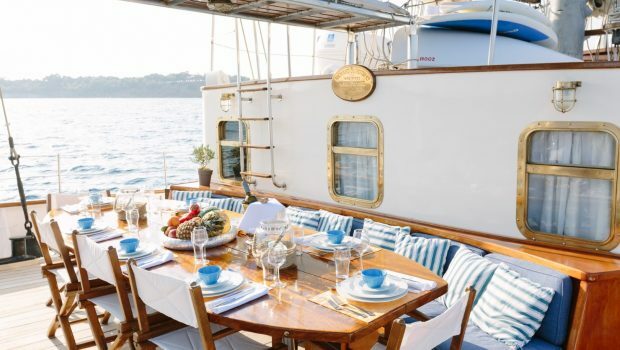 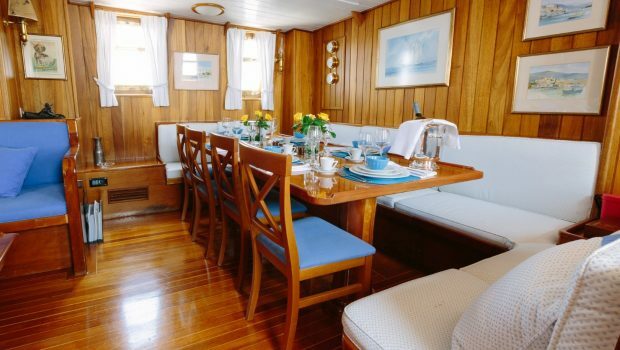 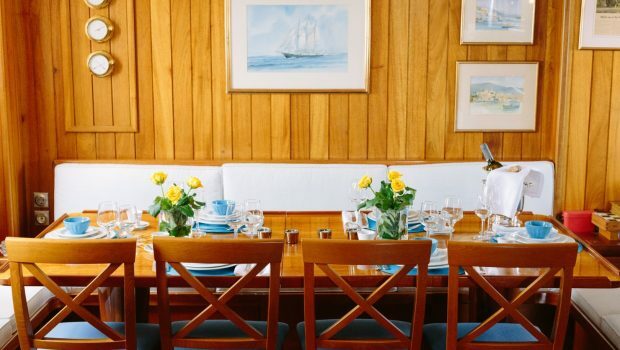 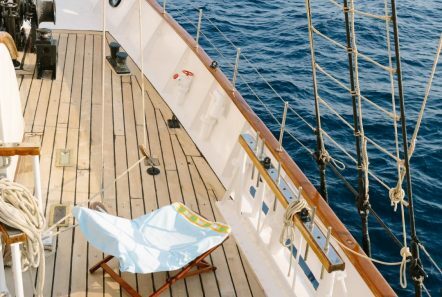 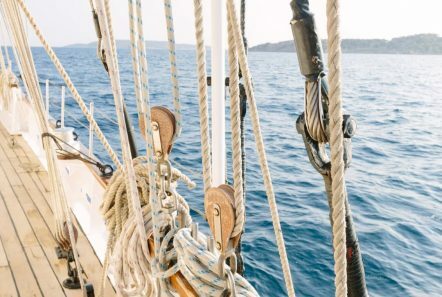 This 135-foot sailing schooner, a Camper & Nicholsons design built between 1964-66 by Richard Dunston (Hessle) Ltd., accommodates up to twelve guests in six staterooms. 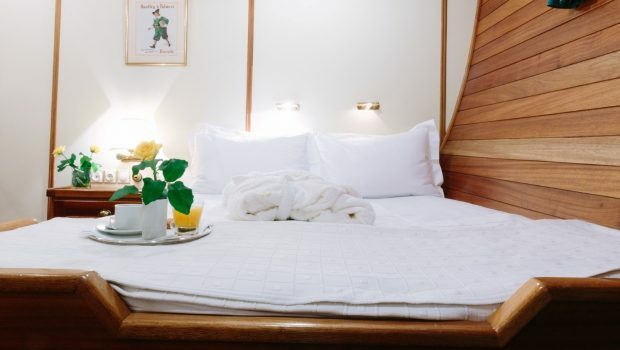 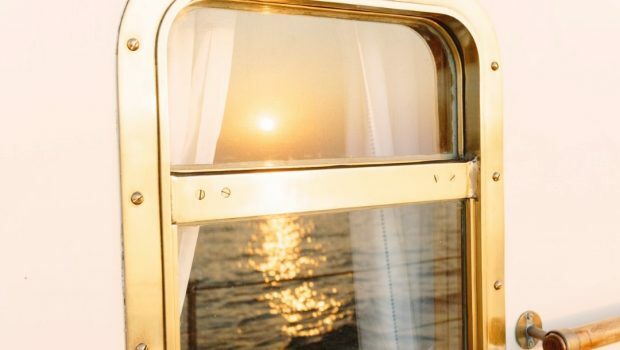 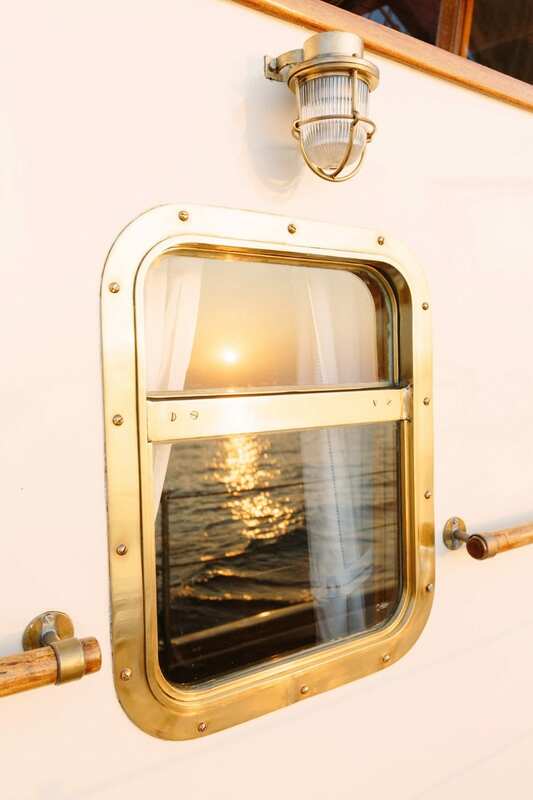 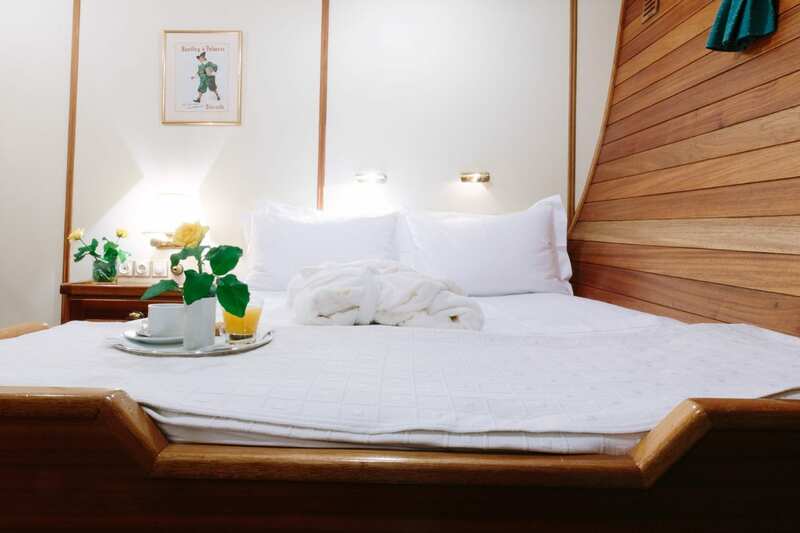 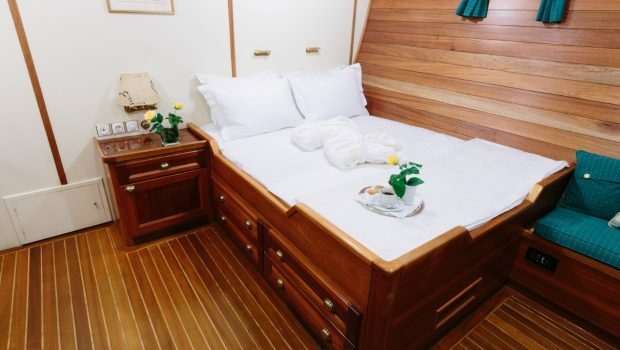 The master and VIP staterooms feature queen-sized beds. 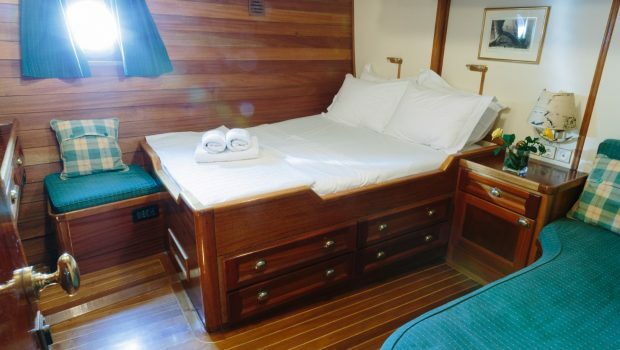 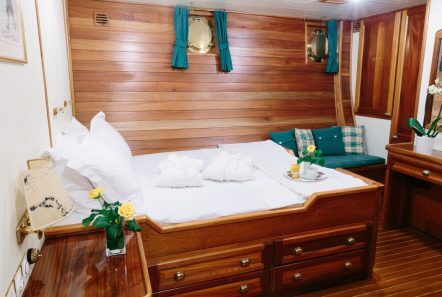 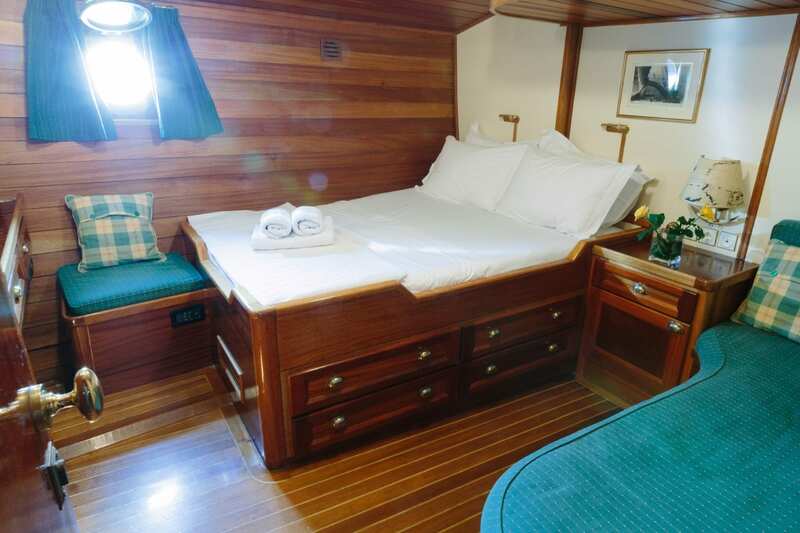 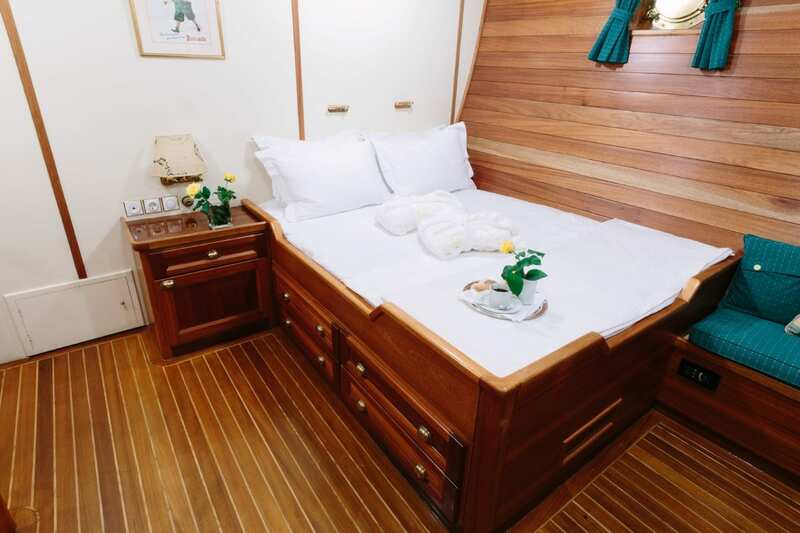 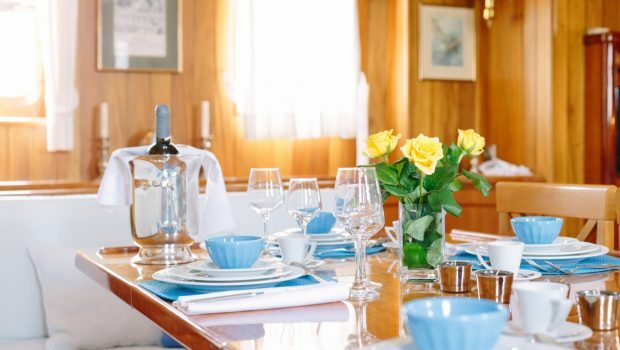 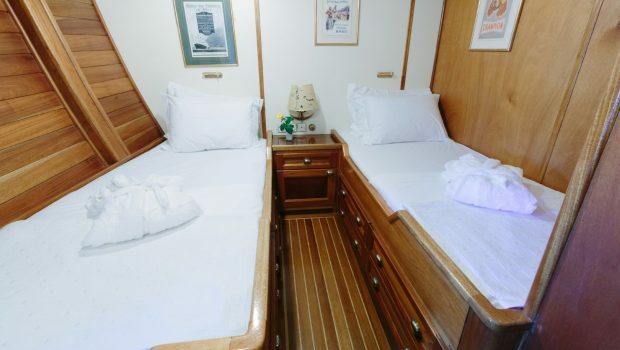 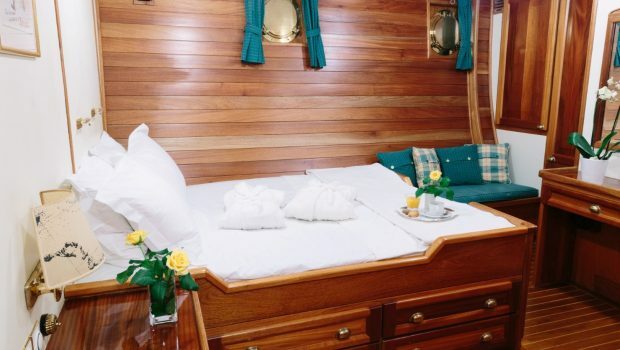 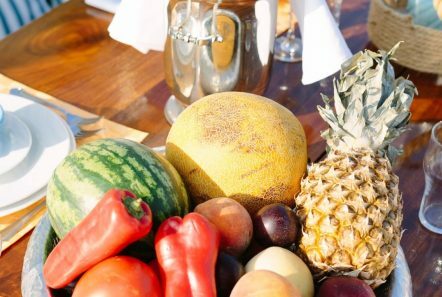 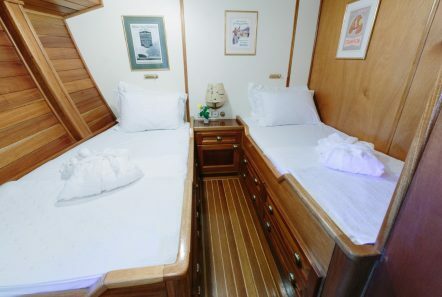 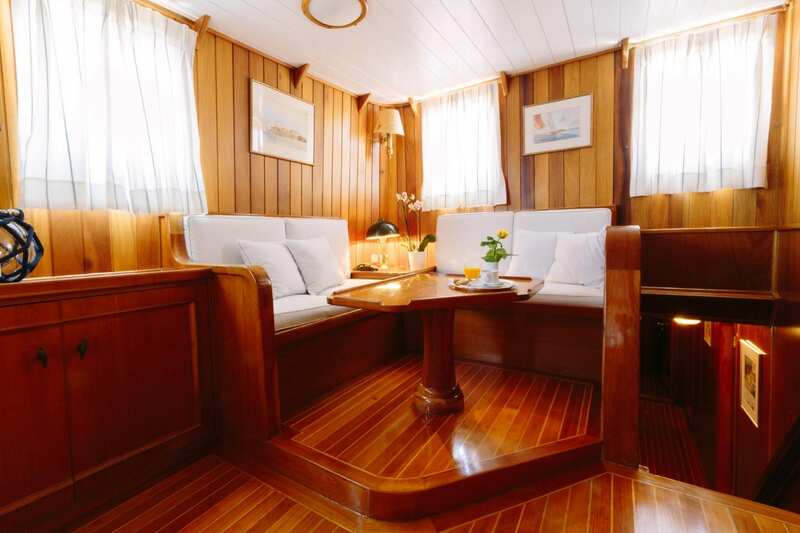 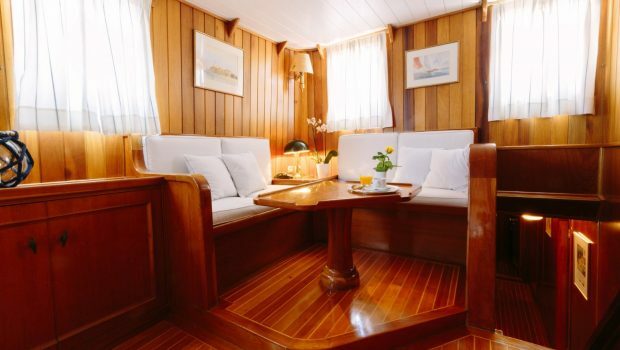 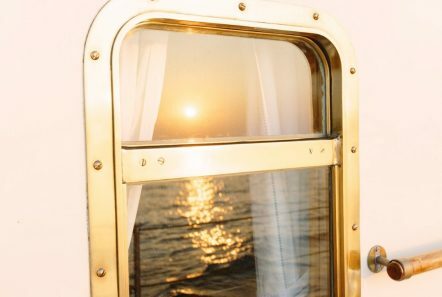 There are two standard double-bedded staterooms with a sofa, (one that adjoins a twin cabin in the bow) and two twin-bedded staterooms. 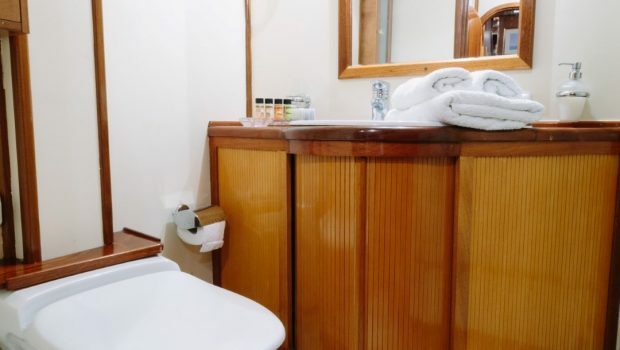 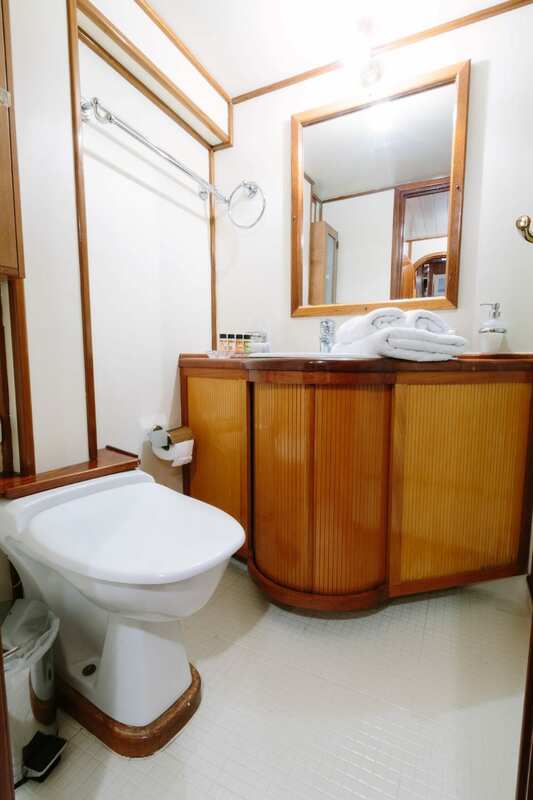 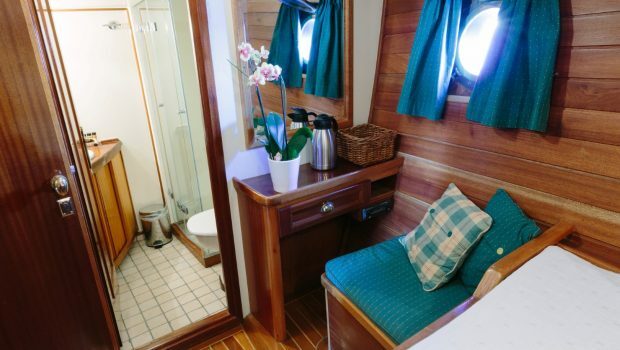 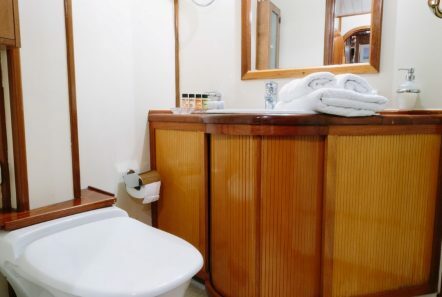 All staterooms have en suite baths. 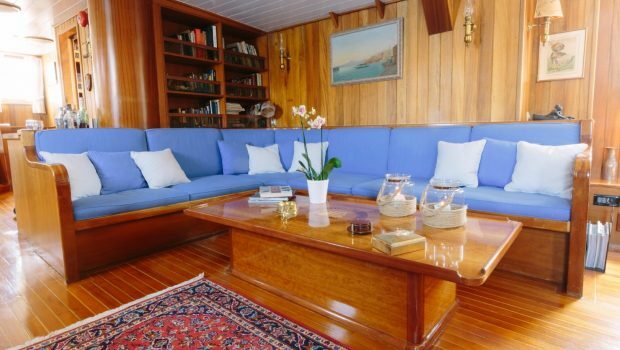 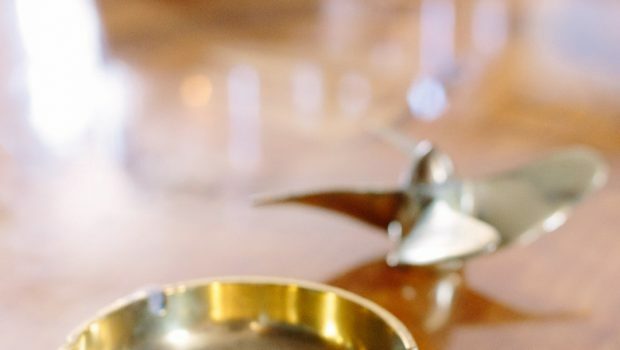 The large salon, furnished with teak, ash, wild cherry and mahogany wood floors and walls giving her the elegant look of the 1930’s, has a cozy nook for playing cards and games, a comfortable lounge and formal dining room. 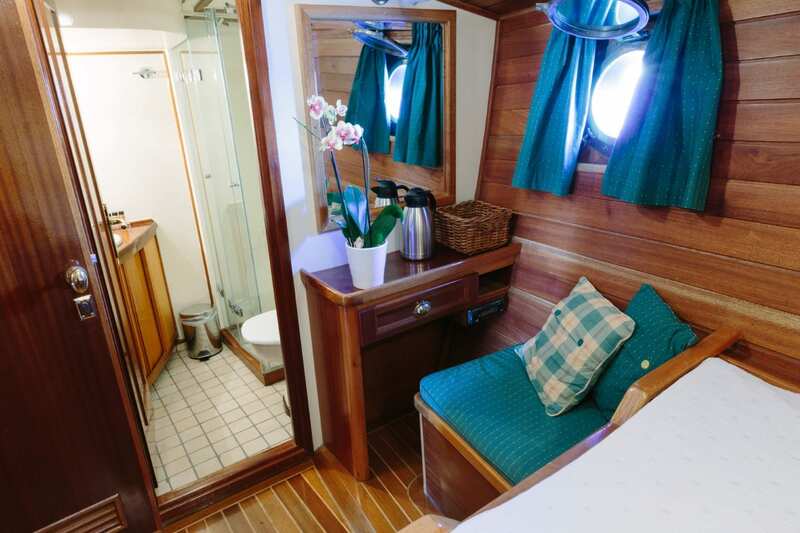 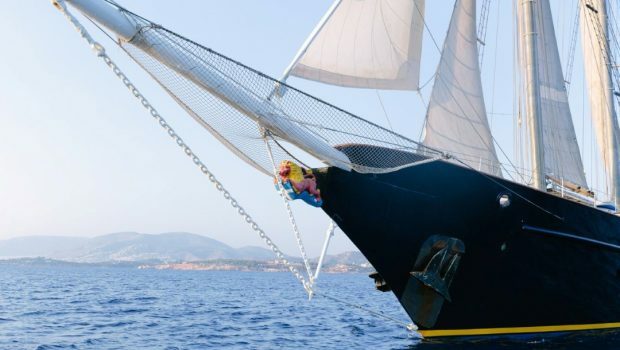 She is fully equipped with all the modern day conveniences such as TV, DVD, Stereo, WIFI and many sea toys. 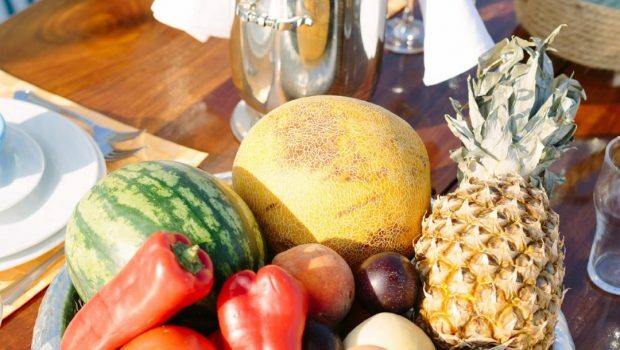 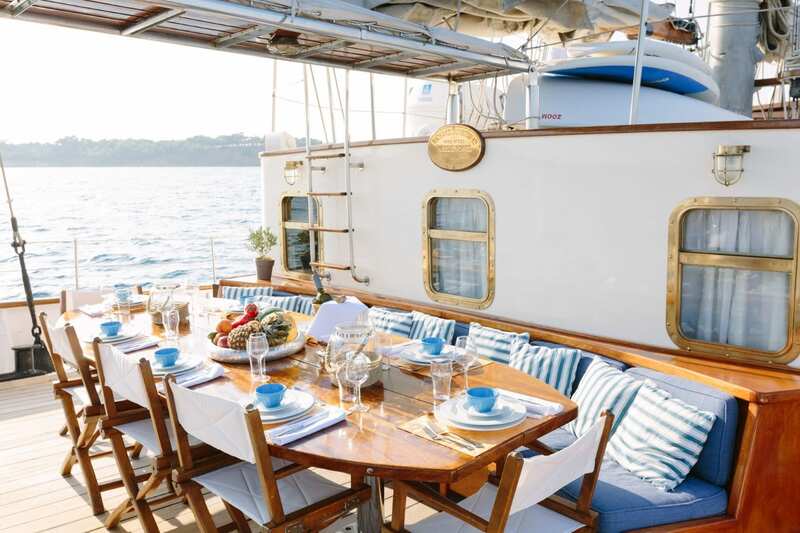 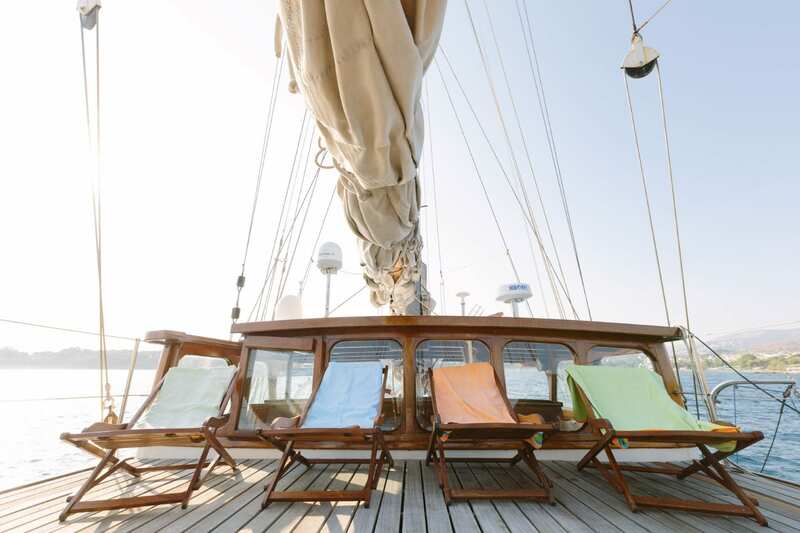 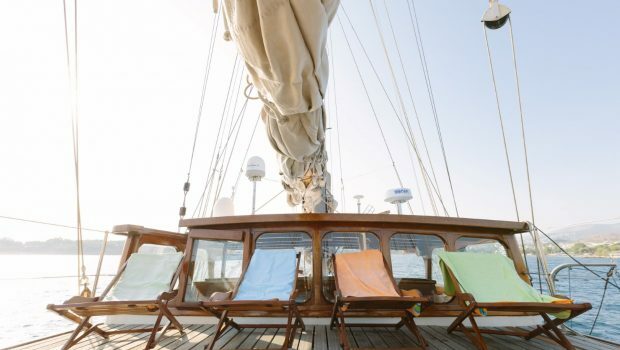 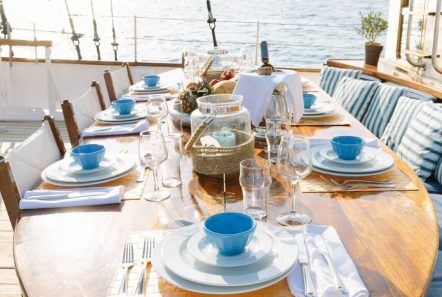 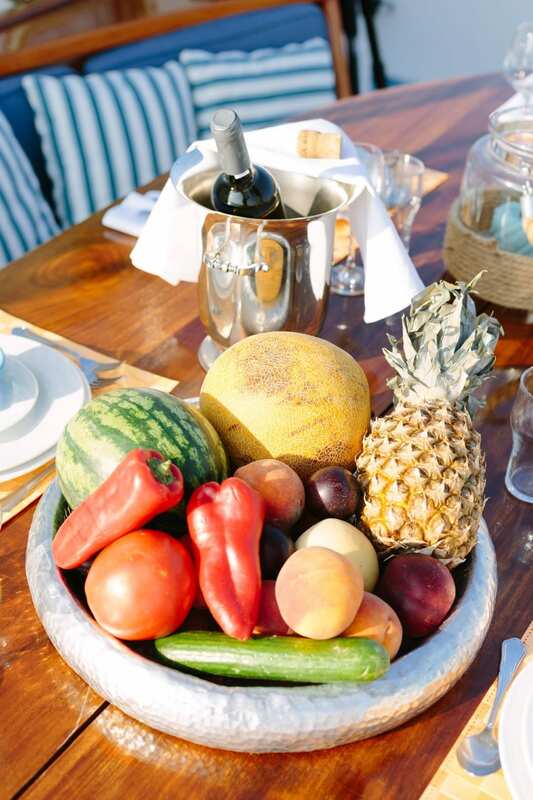 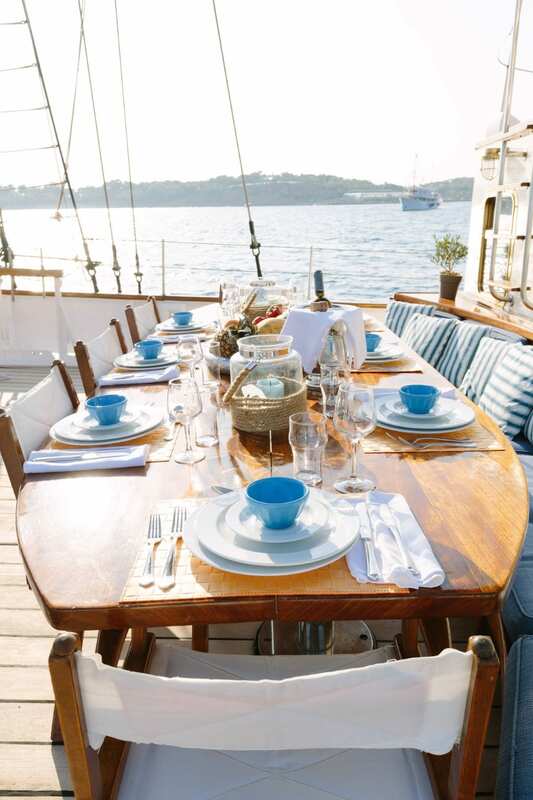 The foredeck has a bimini-sheltered area that is perfect for open air cocktails and dining while the entire deck, forward of the bridge, is available for sunbathing. 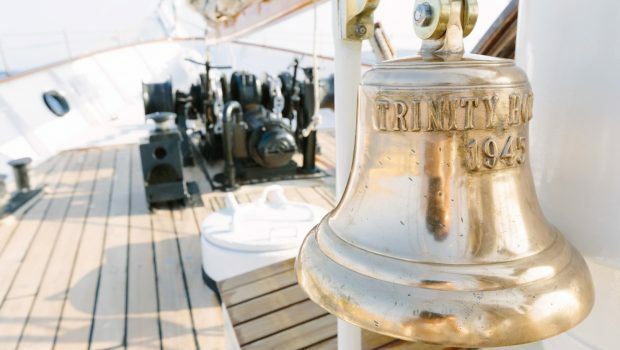 This is a truly remarkable ship. 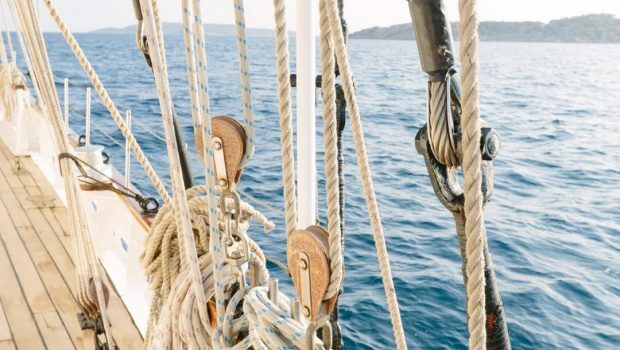 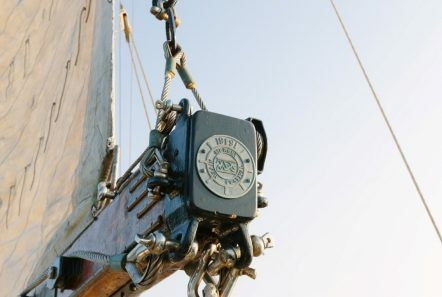 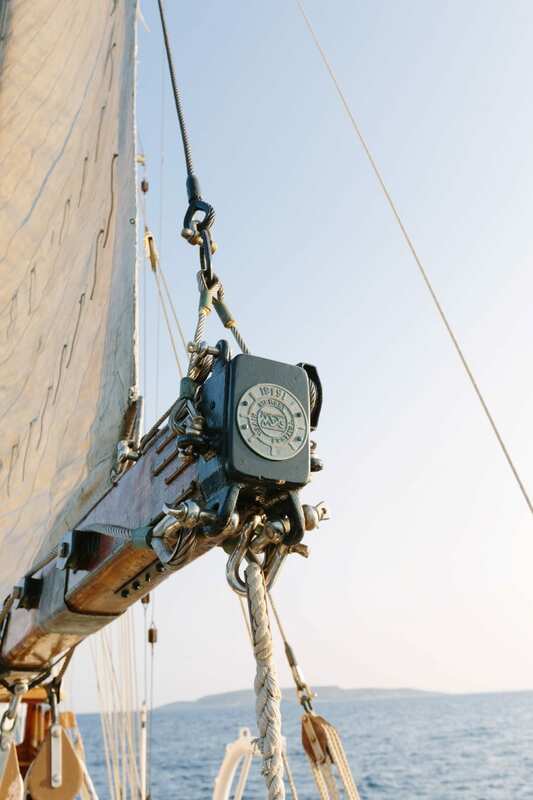 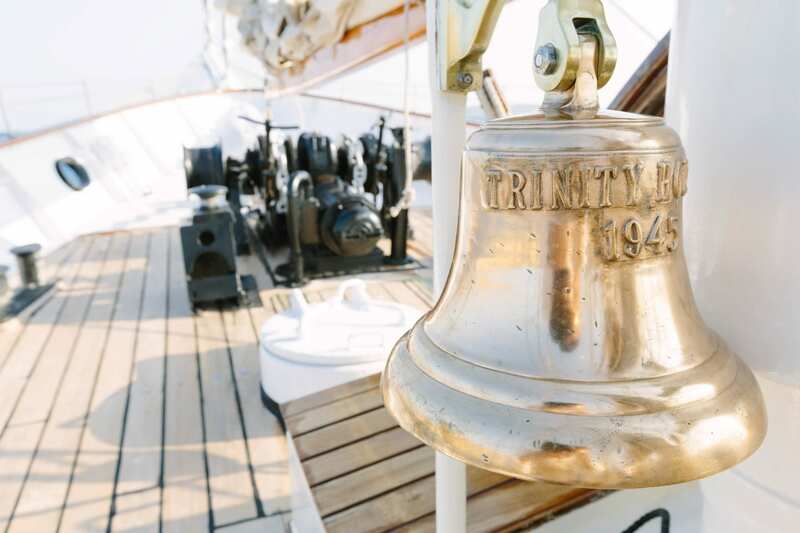 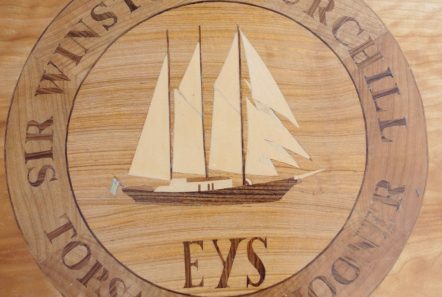 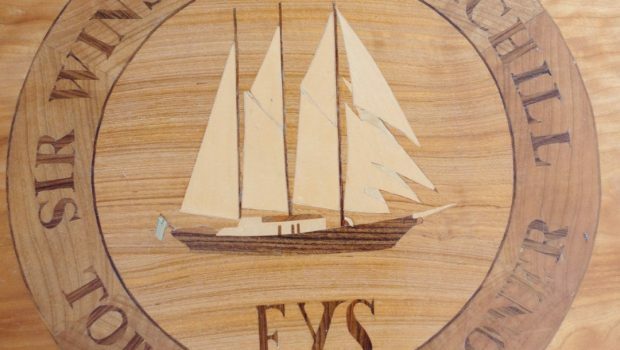 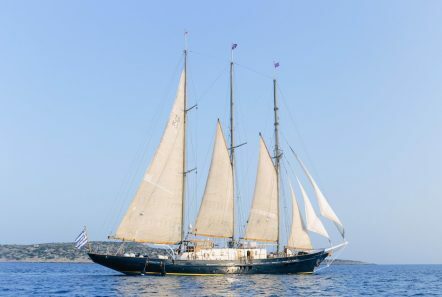 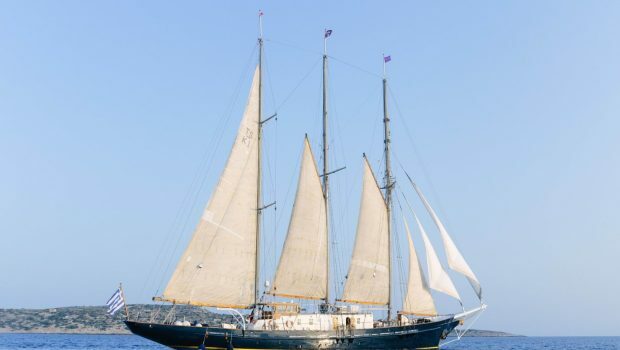 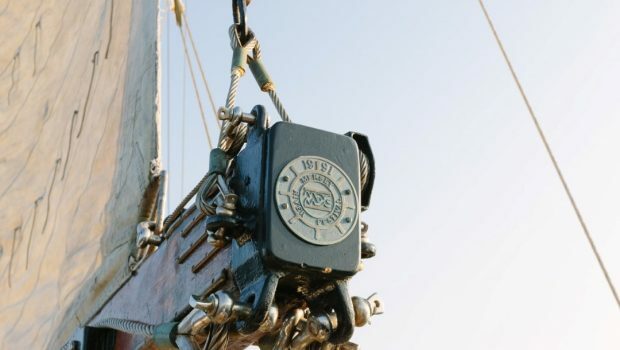 She was originally built to respond to the challenge of competing in a Tall Ships race, at a time where no other English vessel existed to enter the race. 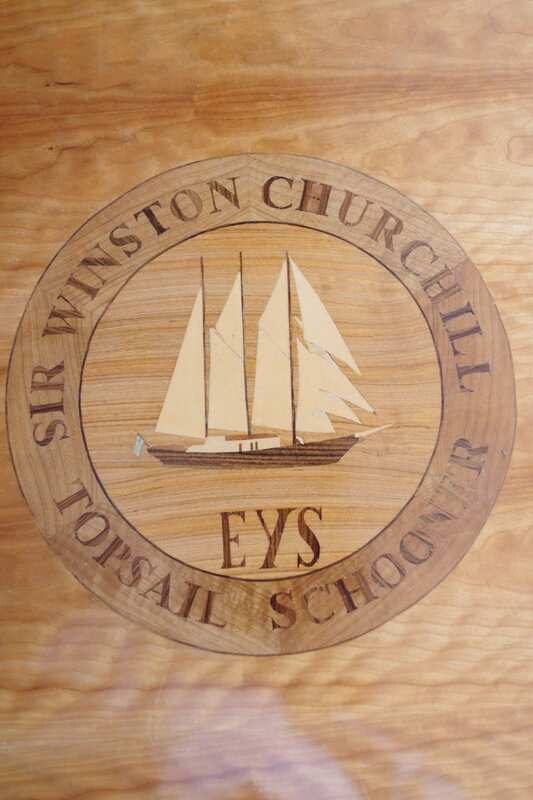 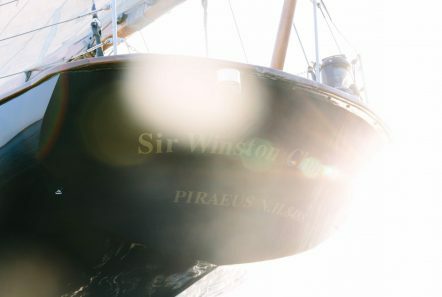 Under the patronage of the Duke of Edinburgh and with funds of public support, The Sir Winston Churchill was launched in 1966 and initially used for sail training. 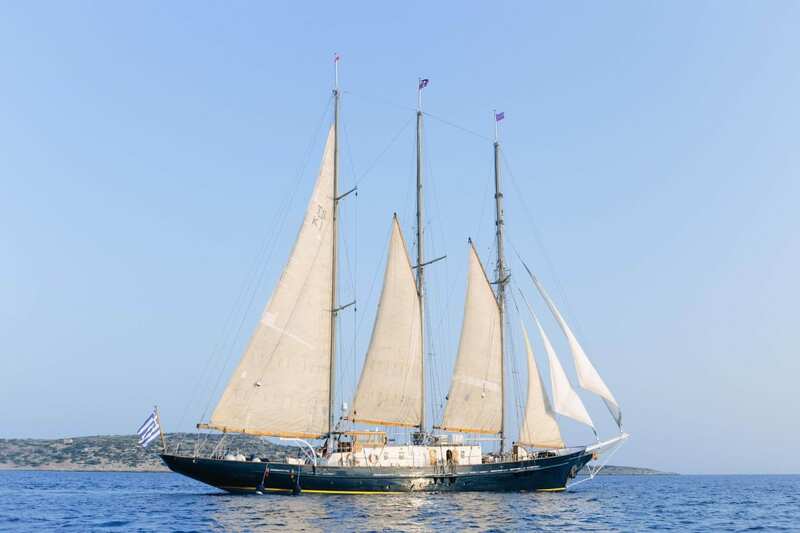 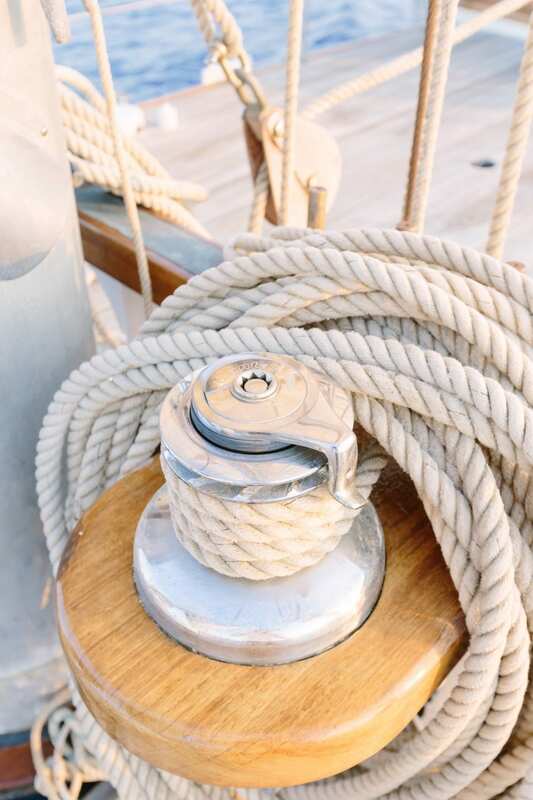 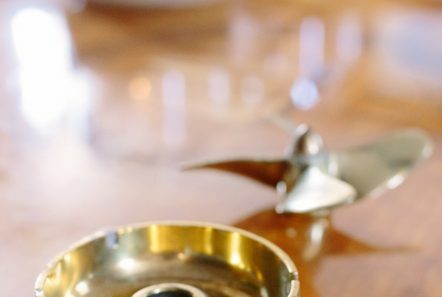 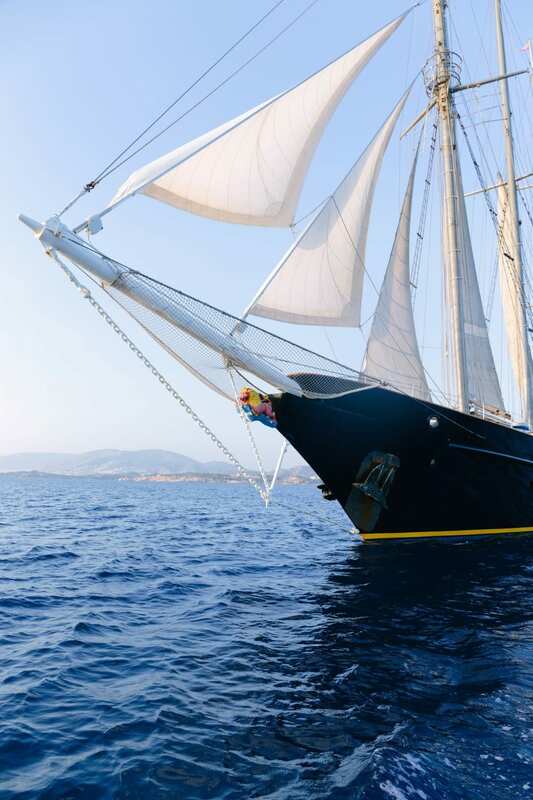 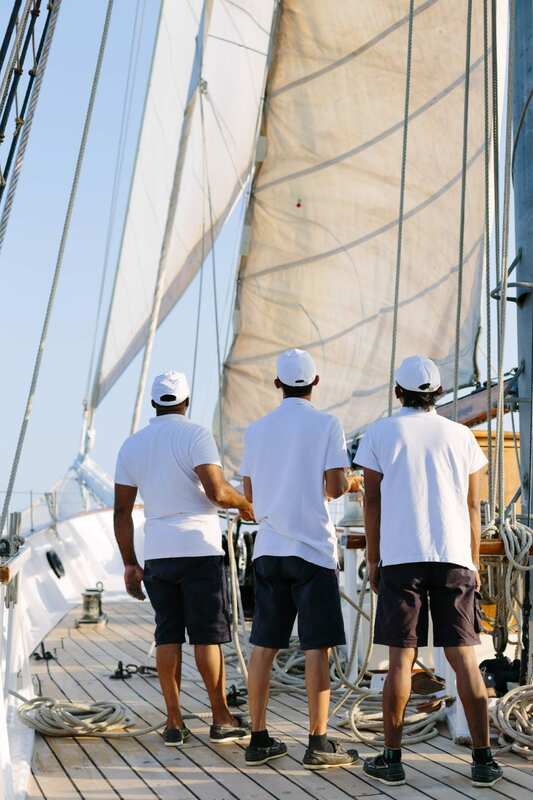 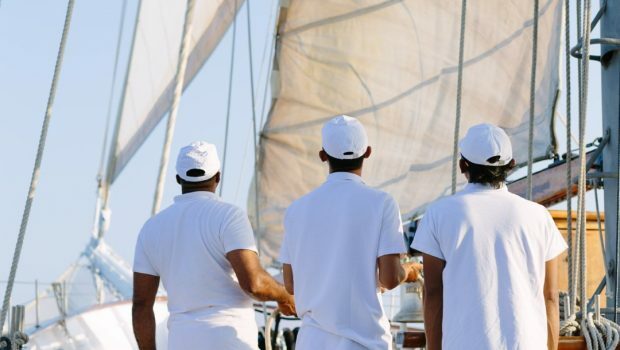 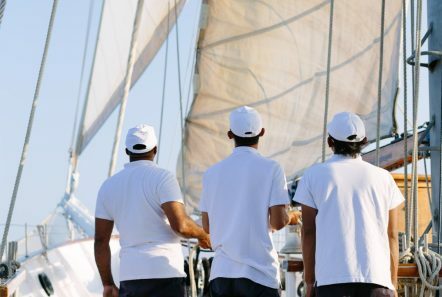 Under the management of the Sail Training Association, she participated and won many racing awards. 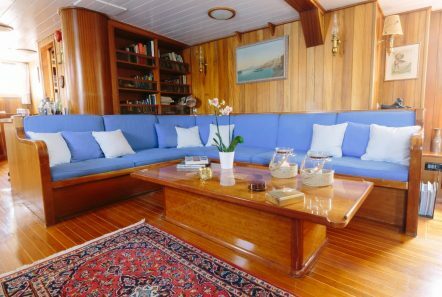 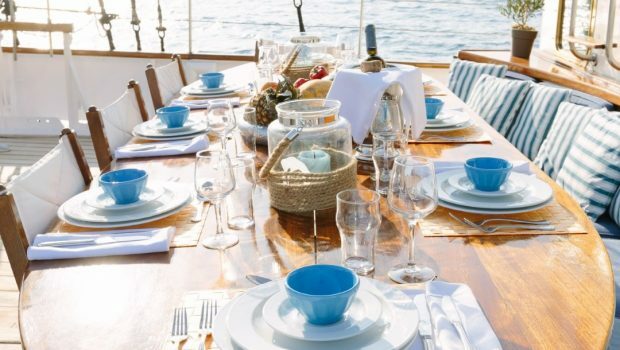 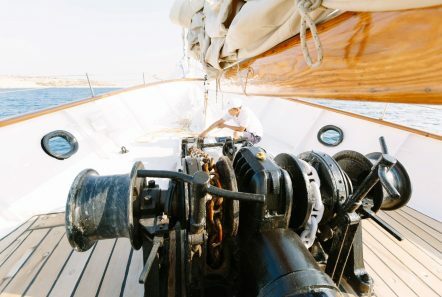 Entirely reﬁtted in 2016, including new teak, the Sir Winston Churchill makes her presence in the yacht charter market and ensures a genuine unforgettable sailing experience. 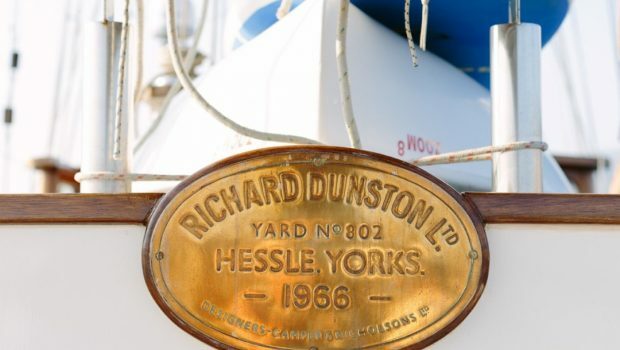 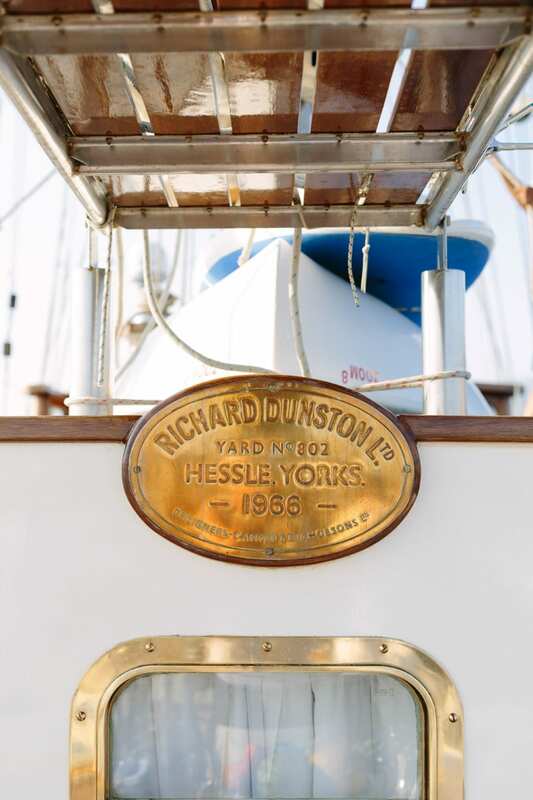 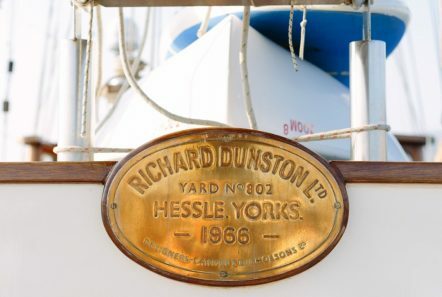 BUILDER: Richard Dunston Hessle Ltd.